2018 is a World Cup year, so we have put together a guide for each team in the tournament. We start with group A and the hosts Russia. Russia have been eliminated from the 2018 World Cup. Croatia reached the semi-finals by overcoming Russia on penalties after a draining 2-2 draw over 120 minutes in Sochi. It was the end of the road for the tournament hosts who had gone futrher than most people had expected. An uneventful first half exploded into life when Denis Cheryshev scored another spectacular goal. But Russia’s advantage lasted for just eight minutes, with Mario Mandzukic setting up Andrej Kramaric for the equaliser. Croatia dominated possession but could not make their superior quality count. Ivan Perisic went closest in the second half when his shot hit a post and flashed across the goalmouth. Brazil-born Mario Fernandes, the last South American left in the tournament, dragged Russia back into the game with a late equaliser. But after Fyodor Smolov had fluffed his opening spot-kick, Fernandes blasted his shot wide to hand the initiative to Croatia, leaving Iave Rakitic to calmly convert the winning penalty. Denis Cheryshev finished as Russia’s top scorer in the tournament with four goals. With minutes of normal time remaining, Croatia goalkeeper Danijel Subasic appeared to have injured a hamstring and looked set to be substituted. But he stayed on for extra time and saved Fyodor Smolov’s penalty in the shoot-out. After edging out lesser opponents in Egypt and Saudi Arabia in their opening two games, Uruguay turned on the style to beat hosts Russia and top their group. It was a more attacked-minded performance from Uruguay, who were helped by the first-half sending-off of Igor Smolnikov. The 3-0 scoreline was Russia’s biggest World Cup defeat. Uruguay coach Oscar Tabarez made changes to his starting line-up, brining in a more attack-minded left-back in Doego Laxalt as well as midfielder Lucas Torreira, with Martin Caceres moving to right-back. Laxalt scored Uruguay’s second goal and was fouled by Igor Smolnikov for the Russian’s second yellow card. Hosts Russia all but confirmed their place in the knockout stages after recording the best start by a home nation in the history of the tournament. Emboldened by their 5-0 rout of Saudi Arabia in the opening match, Stanislav Cherchesov’s side came up against a far more organised team in Egypt and struggled to break them down in the first half. But in a blistering quarter-hour spell at the start of the second half the hosts blow Egypt away with an assured, confident performance that delighted the home crowd in Saint Petersburg. Egypt looked to talisman Mohamed Salah to bring them back into the game. Although he won and converted a late penalty, Salah was a shadow of the figure seen at Liverpool this season. Can Russia prove the critics wrong and inspire a nation? Match preview available here. With no qualifiers to play, hosts Russia have been desperately looking for sparring partners to prepare for the 2018 World Cup – even playing a friendly against club side Dynamo Moscow in September 2017. Things only became easier when the top European and South American teams had finished their qualifying campaigns, with Argentina coming to Moscow and Spain visiting Saint Petersburg in November, and friendlies against Brazil and France planned for March. Stanislav Cherchesov is trying to build a new squad after his predecessor Leonid Slutsky’s unimpressive Euro 2016 outing. In the absence of top-quality players and the departure of a number of the old guard, Cherchesov has had to look increasingly at young talent, although such players are scarce and lack experience. 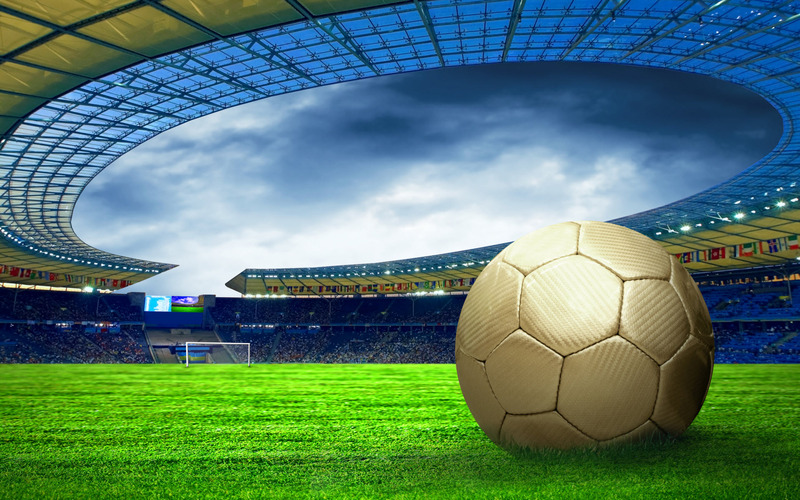 Fans eagerly awaiting next summer’s tournament are more sceptical about the team’s chances than ever before. Qualifying from their group would be seen as a good result for the hosts. Cherchesov steps in to replace Slutskiy and the team draw 0-0 away to Turkey in his first game. Russia score two second-half goals to come from behind and earn an impressive 3-3 draw with Belgium at the rebuilt Sochi Olympic Stadium. The team fails to get out of its group at the Confederations Cup, losing 1-0 to Portugal and 2-1 to Mexico after beating New Zealand 2-0 in the opening game. Despite much speculation Cherchesov retains his job. Russia concede a late goal from Sergio Aguero and lose 1-0 to Argentina at the reopening of Moscow’s Luzhniki Olympic Stadium, which will host the opening game and the World Cup Final next summer. Russia are in Group A for the tournament and have been joined by Saudi Arabia, Egypt, and Uruguay. Russia will play a warm-up friendly against Brazil on March 23rd, and France on the 27th. On the 30th of May, Russia will then travel to face Austria, and then Turkey on the 5th of June. As hosts Russia will kick off the tournament against Saudi Arabia on the 14th of June. Five days later they will play the Mohamed Salah led Egypt, before ending their group stage with a match against Uruguay on the 25th of June. Appointed in August 2016 on a two-year contract, the former USSR and Russia goalkeeper with 49 caps is a four-time winner of the national championship. He was a key figure for Spartak Moscow in their 1995 Champions League campaign, when they won all six group-stage games, and later won three league titles in Austria with Tirol Innsbruck before ending his playing career back at Spartak. After coaching in Austria he joined Spartak and later worked with Moscow sides Spartak and Dynamo before moving to Poland in 2015 and leading Legia Warsaw to the double. Igor Akinfeev remains the first-choice keeper and has proved his top-drawer credentials on numerous occasions. Although prone to injuries, versatile box-to-box midfielder Alan Dzagoev is also key. Akinfeev has more than 100 caps to his name and is closing in on Sergei Ignashevich’s national record of 120 appearances. Ignashevich, along with Vasili and Alexei Berezutskiy, quit international football and their absence is a major headache for the coach who has had to totally replace his back three. Born in Russia, Konstantin Rausch emigrated to Germany as a boy but after caps at under-21 level for his adopted homeland the winger opted to play for Russia. Another newcomer is centre-back Georgiy Dzhikiya. GOALKEEPERS: Igor Akinfeev (CSKA Moscow),Vladimir Gabulov (Club Brugge), Andrey Lunev (Zenit St Petersburg). Zenit St Petersburg forward Aleksandr Kokorin could miss the tournament after rupturing ligaments in his knee. Centre-back Georgi Dzhikiya has suffered a serious knee injury and could be out of the tournament. Viktor Vasin could also miss the tournament after suffering a serious knee injury. Alan Dzagoev has injured what looks to be his hamstring and could miss the rest of the tournament. Can the new defence cope? Victor Vasin, Fedor Kudryashov and Georgiy Dzhikiya have all been criticised for technical mistakes and poor positioning in recent games, but it looks as though Cherchesov sees them as his only defensive options for the World Cup. Will Igor Akinfeev avoid mistakes in crucial games? Although undoubtedly Russia’s best goalkeeper, he has made some costly errors at major tournaments such as the 2014 World Cup and 2017 Confederations Cup. Could Andrei Arshavin be recalled? No, despite being probably the only Russian player to achieve widespread international recognition in the last 15 years, the 36-year-old is now at Kairat in Kazakhstan. He failed to make the final World Cup squad. Will Igor Denisiov make a comeback? As coach of Dynamo, Cherchesov had a run-in with the defensive midfielder which led to Denisov being banished to the reserves. Since becoming national coach, Cherchesov has not considered calling up Denisov, and this has continued as Denisov has failed to make the final squad. Can the domestic league’s top strikers take their chances in top international games? 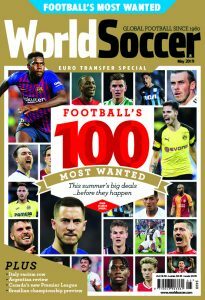 The Premier League’s top scorer in 2016 and 2017, Fedor Smolov of Krasnodar and Zenit’s Alexander Kokorin have not shone at international level. They were due to compete for the lone striker position or form an attacking duet but Kokorin is likely out of the tournament with a serious knee injury.